To sports fans, the career of a sports media person looks like a dream. You literally get paid to talk and write about sports. Fun, right? Not always. It's still work, and life at work has its challenges. Workplace drama comes with the territory, and more times than not is childish, overly politicized, and generally weird. That goes for the lame office you work in as well as ESPN's empire in Connecticut. It's just that ESPN's writers and talents are public personas with television-sized egos, and ESPN is ESPN—it's like Westeros up in Bristol. Recently it's been Bill Simmons stirring things up at the Worldwide Leader, but there's been periods of ugliness from other ESPNers too. 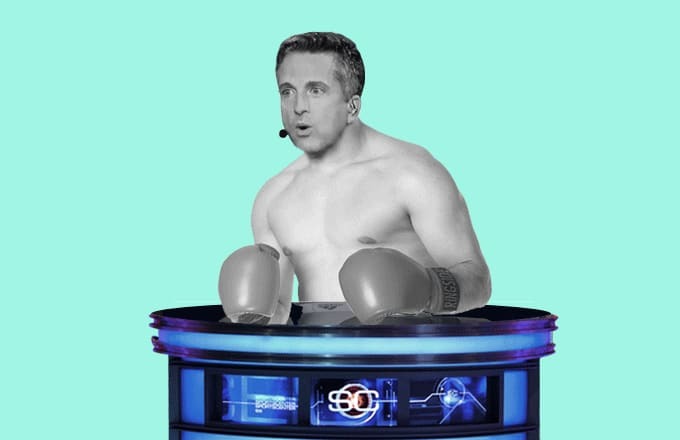 From that time Steve Phillips had a creepy affair with a 20-something staffer to when Michelle Beadle laid waste to Stephen A. Smith's existence, these are The Nastiest ESPN-on-ESPN Beefs.